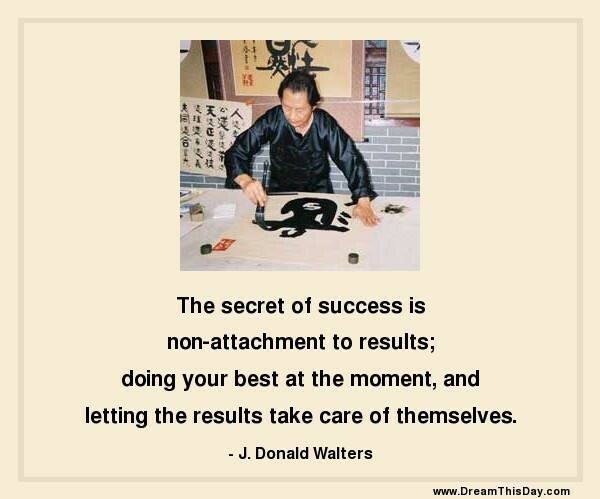 and letting the results take care of themselves. The Buddha discovered that the block to enlightenment is ATTACHMENT to the things of this world, rather than the things themselves. This great revelation is known as the Middle Way - living in moderation, without either gluttony or denial, and without attachment.